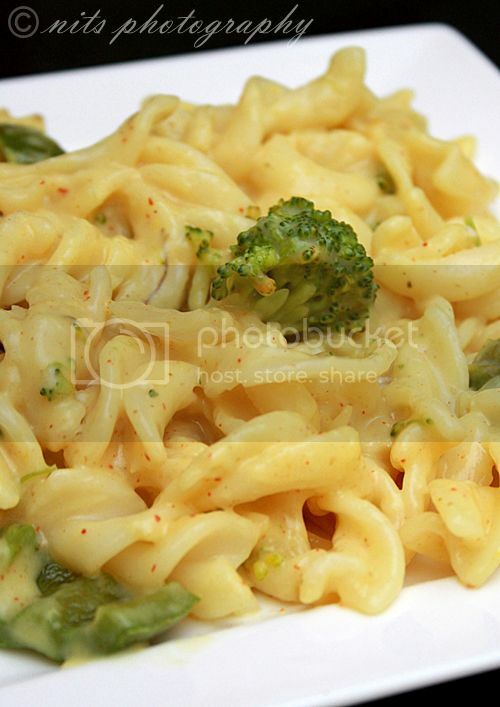 Cook pasta and broccoli in water separately and keep it aside. 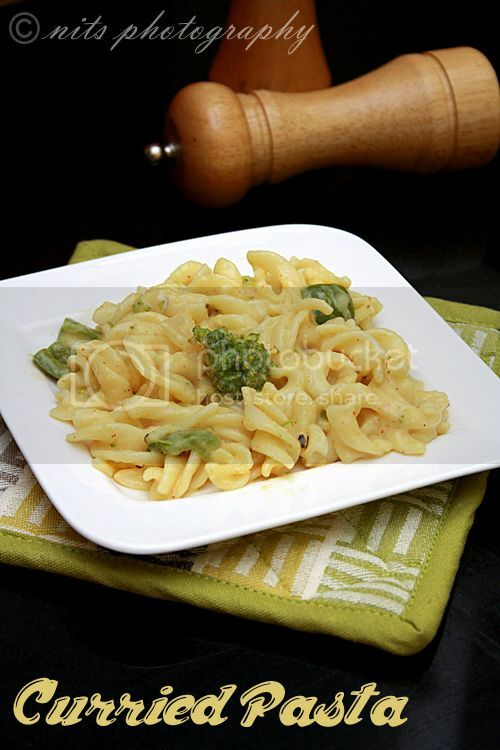 Take butter in a sauce pan and while it is melting, mix the maida and milk in a vessel. See to that it has no lumps. Once the butter melts down completely, pour in the milk maida mixture into the pan through a sieve. Keep mixing. 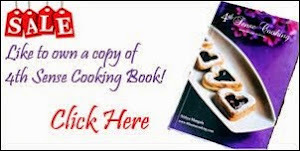 Allow this to boil until it becomes slightly thick and creamy. Now add salt, garam masala, chilly powder, turmeric powder, jeera powder, cumin powder and kasoori methi to it and mix well. Simmer the stove and allow it to get cooked for a while until it starts smelling of spices. 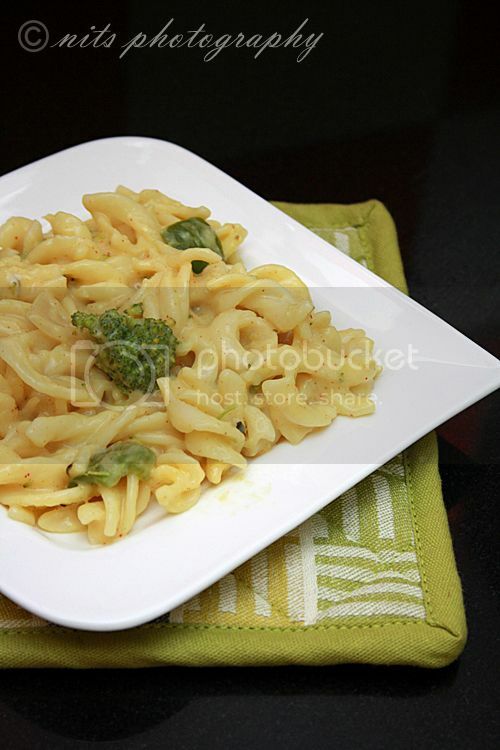 Finally add the cooked pasta and broccoli to it and toss once for the sauce to coat all the pasta. 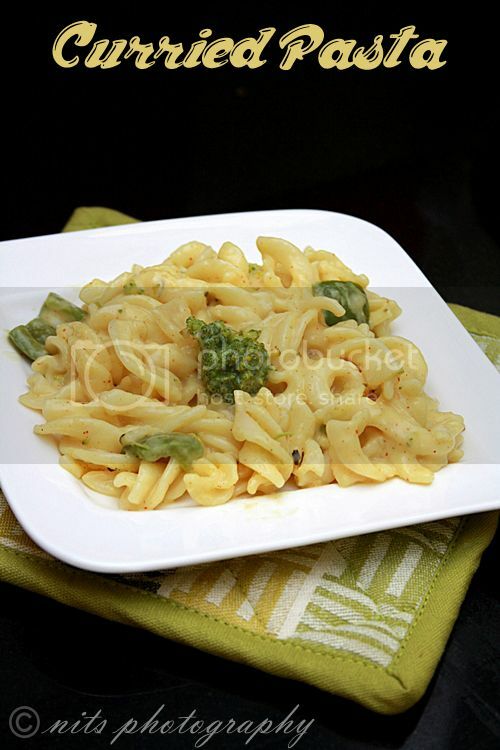 Pasta looks so creamy and super delicious...fabulous clicks..
Creamy & yummy pasta !! Amazing and perfect snaps as usual. I love the curried pasta. Looks very flavorful! Looks yum. And delicious too! Looks simply yumm! Let me try it soon!